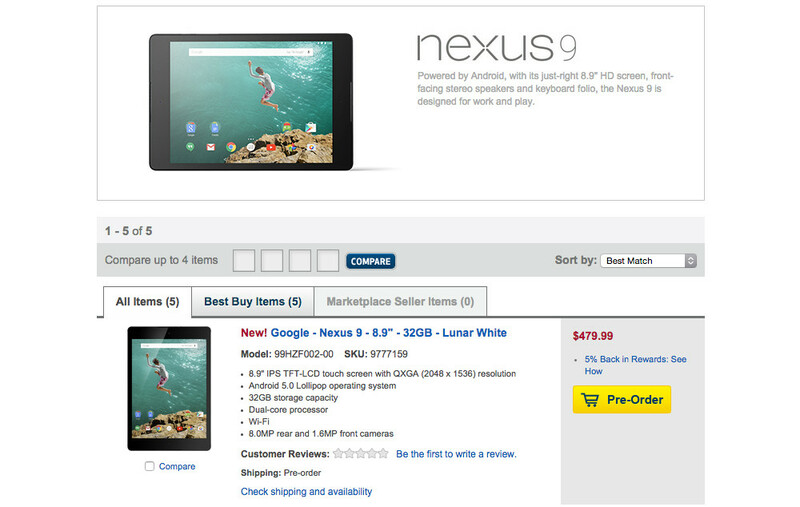 Best Buy pre-orders for the HTC Nexus 9 are now open as well! You can choose between all three models – 16GB WiFi ($399), 32GB WiFI ($479), or 32GB LTE ($599). You also have color choices of white or black.